The Title Module creates an additional header for your page. 1. Log in to your School Loop account to access the Modules. 2. 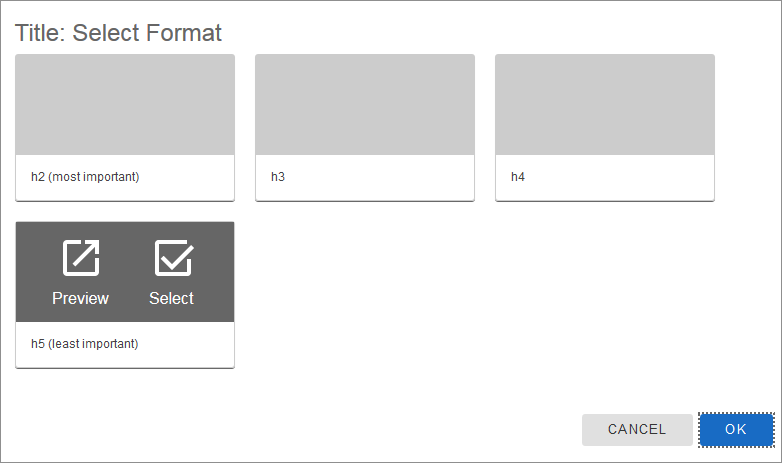 At the insert module screen, select the "Title" tile. 3. The Title Module will appear where placed. Size and shape will vary depending on the location of the module. 4. Type your text into the box. Depending on the size of module and length of the title, your text may be on more than 1 line. 5. Change the format of your title by clicking the Format button on the toolbar. A pop-up window will open with options from H2 (largest font) down to H5 (smallest font). 6. Click to select the desired heading level for your title and then click the OK button. Preview is not currently available, so if you make a choice and do not like it, you can return to Format screen and select "h2" which is the default setting.